DETAILS: Find your home away from home in 198 Needlerush Drive, a luxurious 5 bedroom retreat located in world famous WaterColor. Featuring two master suites and three additional guest bedrooms, 198 Needlerush Drive is ideal for family retreats or larger groups and has comfortable accommodations for all guests! This home features an impressive, state of the art kitchen with two islands, two bosch dishwashers, and two island counter tops. The open floor plan along with the great outdoor space, complete with a built-in grill and wet bar, make entertaining at 198 Needlerush a breeze. Guests will adore spending time on the spacious screened in porches on both levels, complete with porch swings and amble seating, also with a mounted flat screen and cable on the first floor porch. The backyard patio also provides an ideal spot for the kids or grandkids to gather and play. This expansive home has space for every member of your group to spread out, yet the common area of the kitchen, dining room and living room allow for family togetherness. 198 Needlerush rests in the Lake District and is moments away from the many great amenities WaterColor has to offer such as the ever popular Frog Pool, The Boathouse, various biking and walking paths, parks, and Western Lake. FEATURES & AMENITIES INCLUDE: 5 adult bikes, top of the line appliances, and outdoor gas grill. This property comes with 2 dedicated parking spots. Additional parking can be found throughout the community. Love love love the property!! Enjoyed every minute!! We are so glad that you all enjoyed your vacation with us in Watercolor! Thank you for staying with 360 Blue, we hope to see you again soon! The house we rented was perfect for our large family. We particularly liked the large kitchen since we cooked every meal for our group of 14 the entire week. 360 has really stepped up their game with a welcome basket/tote and access to the Watercolor boathouse features. The concierge service was very handy in assisting with Bike and Pontoon Boat rentals. We have booked through 360 Blue for four years and this experience was the best! We are thrilled that you enjoyed your vacation with us in Watercolor! We agree that this home is perfect for large groups and the kitchen is wonderful if you plan on cooking during your stay. We are so glad that you had a wonderful experience with 360 Blue and we hope to see you again soon! Beautiful home, well stocked kitchen, lots of room for family and friends, wonderful porches. We had a fantastic Thanksgiving week with family in this home. I look forward to going back again! Looks like everyone is having a great time at the beach! We are so happy you enjoyed your stay at this incredible home. We look forward to seeing you back soon! 198 Needlerush was the perfect house for us. Spacious and well equipped. 360 Blue responded quickly to our maintenance needs. Everyone we talked with was polite and helpful. Great experience! This is such a darling picture! Thank you so much for choosing us for your beach escape. We are so happy to hear that you enjoyed your stay with us and the property fit your needs. Please come back and see us again soon! We were there as guest on behalf of Sancastle Kids. My daughter is fighting cancer for the second time. This was a long overdue vacation, and as many years as I've lived in FL have I ever seen such pretty beaches. We stayed in a beautiful home in Watercolor. Once in a lifetime trip we will remember forever. The little town of seaside and the food airstream trailers was one of our favorites. We loved all the local State parks. How amazing to have so many so close. If you have ever thought about beautiful beaches and a small seaside get away with the most friendly people you need to get here. Skip those overcrowded theme parks and get back to the sea. We are going back someday for sure. What a beautiful photo! 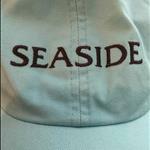 We are so glad that you enjoyed your stay with us so thoroughly, and got to enjoy all that Seaside has to offer. It is the perfect place for a quiet getaway. We appreciate you choosing 360 Blue for such a special trip. Come back and visit us again soon! Great home for entertaining. 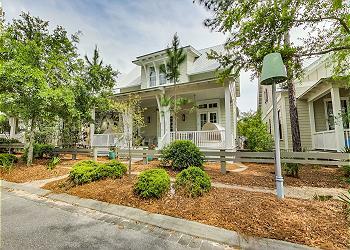 Great access to the beach and Publix via bikes from this home's location. We love the Lake District location. This is our family's 6th vacation to WaterColor, and this is by far our most favorite home to date. Thanks 360 Blue for another memorial Spring Break!!! We are so happy you and your family had such a great spring break! 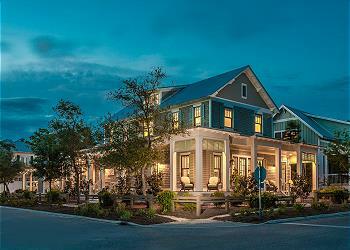 WaterColor is such a beautiful community and so close to all the great places along 30A. We appreciate you choosing to stay with 360 Blue again and we can't wait to have you back at the beach again soon! Fantastic clean "like-new" home housed three families with 5 children ranging in age from 2-10 plus one grandparent. Enjoyed morning and evening times on three different porch areas. Very convenient walk to the frog pool. Massive kitchen suitable for a big family dinner. Murphy bed in office was wonderful for grandpa and had its own bathroom and access to front porch for added benefit to that particular room. Prompt attention was received when we called in an issue with a bike chain. Thank you for a wonderful week in a beautiful house. 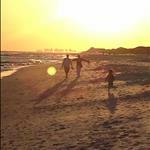 Hi Ramsey Family: Thank you for sharing your picture with us. We are so glad you everyone enjoyed their stay. Thank you for choosing 360 Blue and we hope to see you in the near future!!! A beautiful house which became a home when my three siblings and our respective families came together for a much needed reunion. Memories of old were shared with laughter and new memories created. Cousins became acquainted and reacquainted and family bonds deepened. Long days spent biking to beaches and shopping while exploring the myriad trails of Watercolor. A great kitchen where food and meals became feasts. Our thanks to 360 Blue for your attentiveness to details and promptness when we had requests. That certainly sounds like the perfect family vacation! Thank you so much for staying with us in WaterColor. We would love having the whole family back again soon! Lovely house with all tne amenities you could need. We really loved the outdoor living space. 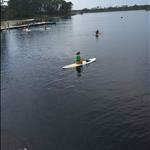 Water looks perfect for some paddle board adventures! Thank you for staying with 360 Blue! Beautiful home. Fantastic location for families with children of any age. We loved our stay and hope to come back year after year. Love, love LOVE your photo! Looks the the closing of a very wonderful day! We are so glad to hear that you enjoyed your time at this wonderful home. This truly is such a great area for families with children. We certainly hope you are able to come back year after year - it's such a fantastic family tradition! Give us a call when you're ready for your next beach retreat!